Supported adhesives, also called double coated tapes, get their name from their construction. A thin plastic like layer, typically PET, is coated on both sides with a thin layers of adhesive. The most common family of pressure sensitive adhesives are acrylic based. Adhesive manufacturers such as 3M, Adchem, and Saint-Gobain offer many varieties of adhesives with different bond strengths, temperature ranges, and mechanical properties. The thin support layer (or carrier layer) of supported (or double coated) adhesives offers dimensional stability when added to an elastomeric material. 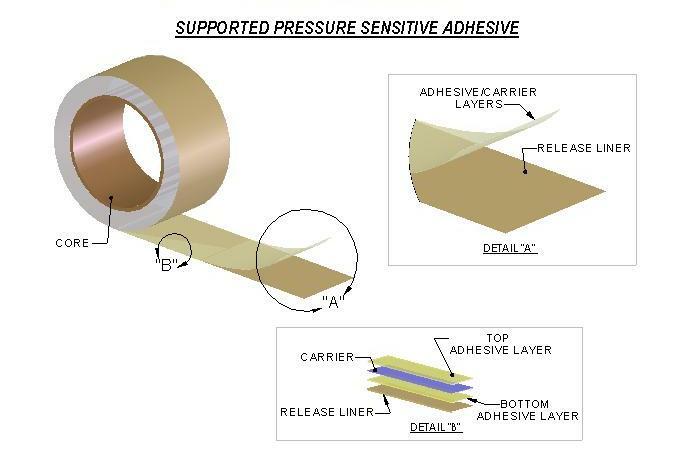 These pressure sensitive adhesives (PSAs) with supported construction are typically self wound. When unrolled one side of the adhesive is exposed. In most cases Stockwell Elastomerics applies the exposed adhesive to the gasket or pad material, the release liner remains intact until the end user is ready to peel and stick. This adhesive backing is very helpful for the end user during assembly. In some cases we will apply a second liner to the exposed face and die cut the adhesive to a specific geometry. For applications assistance or more information about supported adhesives / double coated tapes, please call Stockwell Elastomerics at 215-335-3005 or complete a contact form for assistance. These support adhesives are generally for use in non-tropical climate areas as adverse weather conditions contribute for it to be worn out. That said, is it applicable to fasten it for safety with bolts and screws? The supported, also called double coated, adhesives are used globally and not limited to tropical climates. The adhesives themselves are generally hydrophobic, with a variety of temperature ratings. Typically issues with bonding will depend on the substrate being bonded to, the cleanliness and if the appropriate adhesive is being used. 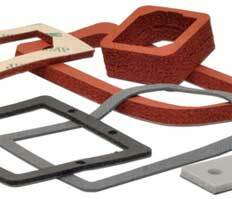 Stockwell manufactures custom gaskets, often adhesive backed gaskets. Mechanically fastening the gasket, in most cases, would interfere with the gasket compression. With that said, to achieve a proper seal the gasket needs to be compressed between two sealing surfaces, which are typically done with screws or bolts.